It's been a rough winter. 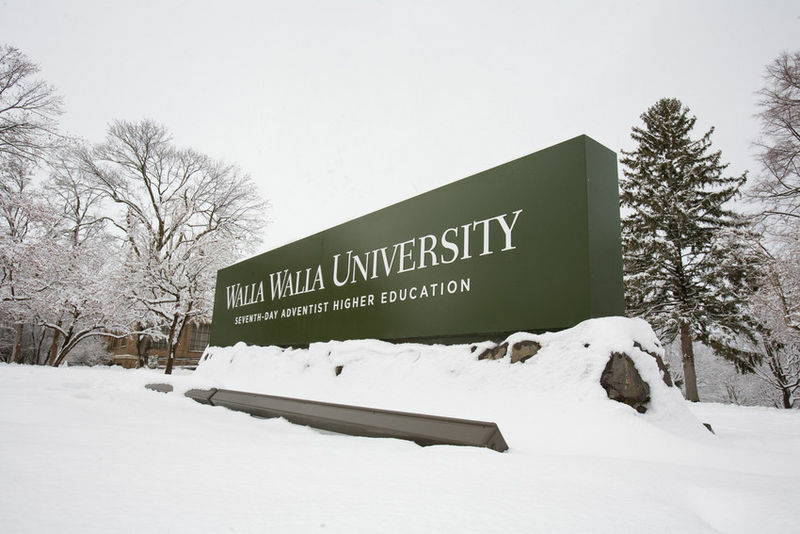 COLLEGE PLACE, Wash. --- With tears in their eyes, administrators of Walla Walla University announced the closure of the institution today after admitting that they had not met their quota for student weddings this year. "We did all we could," said Walla Walla spokesperson Noes Casado, "but there are only so many banquets you can plan and if we dimmed our vespers lighting any further we would be sitting in absolute darkness." Casado shared that never before in the history of the school had wedding quotas not been met by this time of year. "If there is anything that we have been proud of throughout our history, it's been our ability to marry off more students than we graduate," said Casado. "We even made sure those engineering nerds got hitched." Muttering something about spoils always going to the victor, Casado said that Walla Walla leadership had decided that the only honorable thing to do was to admit defeat and apply for jobs at Southern. FAKE NEWS. And silly, too. Don’t youse guys at SDA educational institutions get it? Love will find it way. I know from experience at that New England School many, many, many years ago. Your supposed to be in college to get an education. Why am I filling my tithe envelopes for SDA College education? Stop the madness. Hit the books! Get your money’s worth. Look for the spouses later. They ain’t goin’ anywhere. Will a doctor from Loma Linda please send me a bunch of sedative pills so I can get over this nonsense!! Better yet, I will consume my hidden supply of Little Debbies. See ya!! Unfortunate. I attended the Pacific Union College of Dating and Social Etiquette. Did well. Married up! Even Vladimir Pukin’ knows this is a bunch of baloney. So fake, it’s not funny. I feel like this post was written by my grandmother when she was in a passive aggressive mood. As senior over here, it doesn’t feel like my classmates are failing to meet the quota.